Summer is often hot and stifling and that can make it hard to enjoy. FrontDoor Communities has a solution to that problem in the form of waterfront communities in Charleston! Stonoview on Johns Island and Freeman’s Point on James Island will help homeowners cool off and escape the heat. 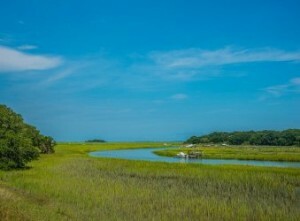 Stonoview lives up to its name with spectacular, unobstructed views of the Stono River. This community has tons of gorgeous natural surroundings that make it an exciting and peaceful place for residents to live. There are currently three move-in ready homes available in Stonoview, two Albrecht plans and one Ballantine plan, so buyers need to act before they’re gone! These homes range in price from $554,900 up to $584,900. The Albrecht plans have more than 2,800 square feet in living space, four bedrooms and three-and-a-half bathrooms. The Ballantine home has the same number of bedrooms and bathrooms, but more than 3,000 square feet of living space. This master-planned community accents the nature it finds itself in. Moss-draped oak trees are found throughout Stonoview, and many features were added to provide residents more opportunities to enjoy the surrounding water. 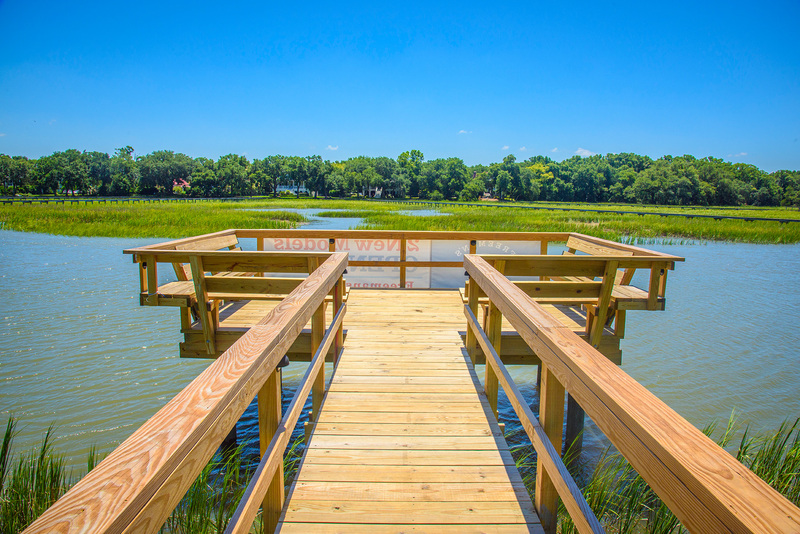 A community dock with a sundeck, floating boat slips, on-site boat storage, crabbing, kayak storage and a waterfront park and pavilion are just some of the ways Stonoview homeowners can enjoy the great outdoors. Additional amenities include a community pool, tennis courts, trails for biking or walking, and several parks and picnic areas. Buyers interested in Stonoview will be excited to learn the community’s onsite sales center is now open. 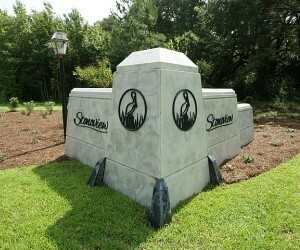 Open daily, the sales center is located at 2627 Battle Trail Drive on Johns Island. Freeman’s Point also serves as an excellent waterfront destination to enjoy the coast year-round. This community gives off vacation vibes with its proximity to beaches, downtown Charleston and river access to Charleston Harbor. At Freeman’s Point, buyers will find sought-after waterfront home sites with dock access available now. 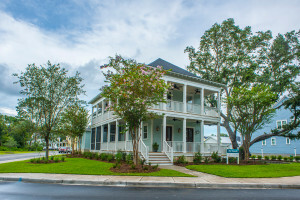 As the only community in Charleston with waterfront homes at an affordable price below $1 million, Freeman’s Point offers an incredible deal for home buyers. Most of these homes vary between $399,900 and $419,900, while the impressive waterfront Tidalview is selling for $839,900. The Ellis, Folly and Edisto range between 1,890 and 2,222 square feet of living space, and each has three bedrooms and two-and-a-half bathrooms. The Tidalview spans nearly 3,100 square feet and includes four bedrooms and three-and-a-half bathrooms. Buyers will find a waterfront lifestyle at its finest at Freeman’s Point. The community is centered around a waterfront park, while other amenities in this relaxing and fun-filled community are the swimming pool, pavilion, fireside lounge, and a community dock for sunbathing, fishing or just enjoying the water. Some families wish for a get-away everyday during a hard week. Those who join either Stonoview or Freeman’s Point will be treated to a weekend every day of the week. Buyers will experience a new way of living at either of these two premier waterfront communities in Charleston. To be a part of a beautiful community that offers summer fun all year long, contact a FrontDoor Communities agent today! Those interested in either of these communities can contact Danielle Edmiston at danielle@carolinaone.com. 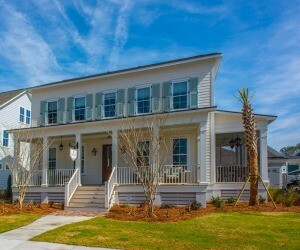 For more information on FrontDoor Communities’ Charleston communities, visit www.FDCCharleston.com. 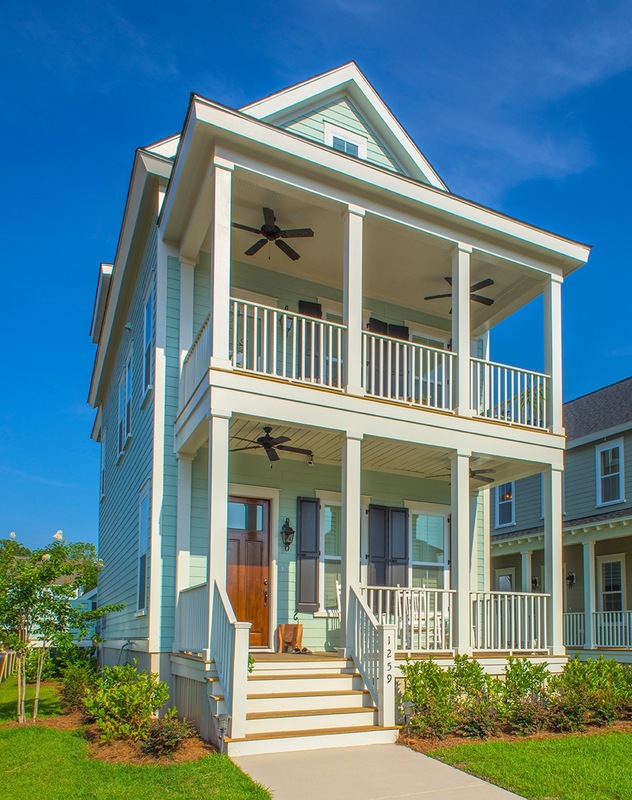 This entry was posted in Charleston new homes, New Home News, South Carolina and tagged Freeman's Point, FrontDoor Communities, James Island, johns island, Stonoview, waterfront home on June 22, 2016 by FrontDoor Communities. FrontDoor Communities has the Lowcountry’s best new home options for the buyer who has decided that now is the time to make their dream of living close to the water come true: close enough to go fishing on a Saturday morning, before everyone wakes up; close enough to look out the window and see the sun sparkling over the water; close enough that weekdays feel like the weekend. For the buyer whose heart longs to be near the water, FrontDoor Communities’ Freeman’s Point and Stonoview will call them home. 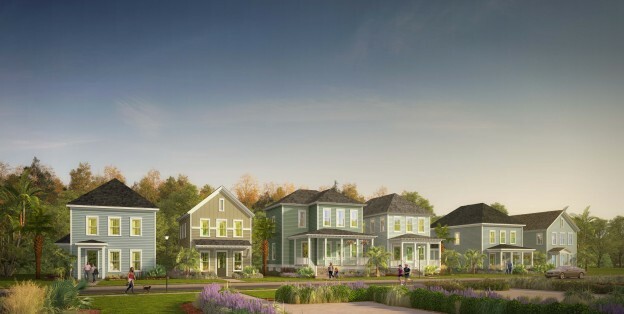 These idyllic Lowcountry new home communities provide the amenities, natural setting and proximity to the water that buyers desire, the features and craftsmanship that they expect and the floor plans and designs that they need. At Freeman’s Point, buyers can now purchase a waterfront home site along Seaside Creek. There are only eight waterfront opportunities available featuring homes by both FrontDoor Communities and Ashton Woods Homes. Priced from the $700,000s, every home is designed to maximize marsh and water views while providing the luxury Lowcountry lifestyle buyers would expect. These homes feature open living spaces perfect for entertaining, relaxing owner’s suites and gourmet kitchens. Freeman’s Point features a 1,000-linear-foot waterfront park with gazebo, playground and picnic area, a pool, gathering pavilion, fireside lounge, community boat ramp and community dock. 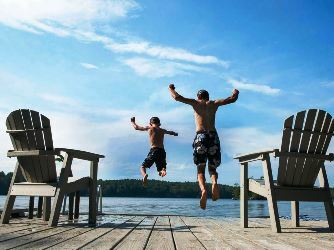 Launch your boat for a day on the water, take the kids for a paddle boat ride, watch the sun set while fishing off the community dock, cool down at the pool and hold the best barbeques at the pavilion. In addition, the community is minutes to downtown Charleston and a short drive to Folly Beach, with access to Seaside Creek and close to Morris Island. Residents are a short boat ride to waterfront dining and entertainment. 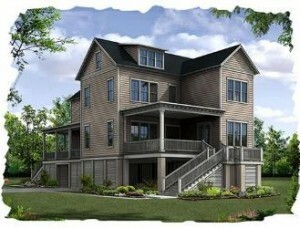 For more information on the waterfront living opportunities at Freeman’s Point, call 843-406-6636. The master-planned community of Stonoview is set in an area surrounded by moss-draped oak trees and offers unobstructed views of the Stono River. Homeowners enjoy the community dock with sundeck, floating boat slips, on site boat storage, crabbing, kayak storage, waterfront park & pavilion, community pool, tennis courts, miles of walking/biking trails, golf cart friendly, pocket parks, and several picnic areas. Whether you enjoy water skiing, fishing, or just sun bathing, you can do it all, without ever leaving the community. Homes at Stonoview will start in the high $400,000s. The Albrecht floor plan, the first plan released at Stonoview, offers four bedrooms plus a playroom, three and one-half bathrooms and many options for customization, including an elevator, extended main level porch and sunroom. Call 843-352-4997 to learn more about this stunning community. 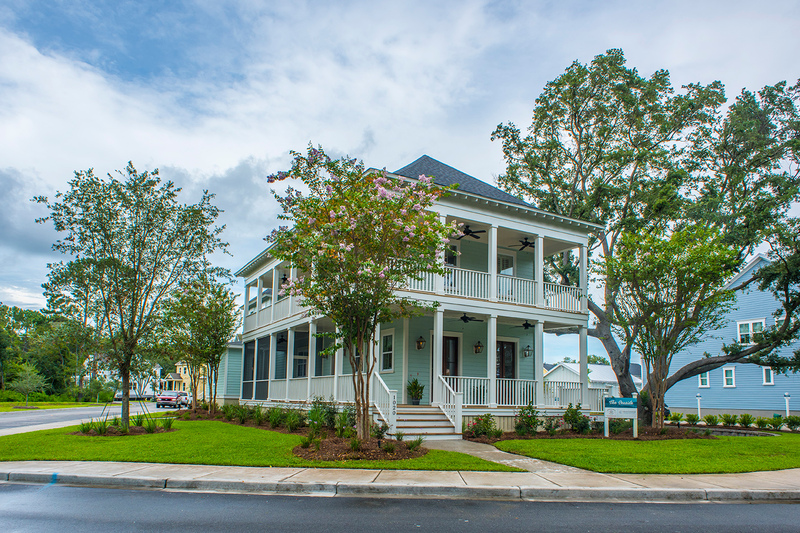 FrontDoor Communities offers the waterfront living that so many Charleston area new home buyers are searching for. Visit the website to learn more about these two communities and all of the new homes available from FrontDoor Communities at www.FrontDoorCommunities.com. This entry was posted in Charleston new homes, South Carolina and tagged Freeman's Point, FrontDoor Communities, james, Stonoview, waterfront home on May 4, 2016 by FrontDoor Communities. 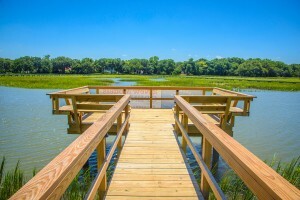 FrontDoor Communities announces the release of waterfront home sites at its popular Freeman’s Point community on James Island. Located along picturesque Seaside Creek, just eight home sites are available that will showcase custom homes from FrontDoor Communities and Ashton Woods Homes. Prospective home buyers can live the waterfront lifestyle by choosing one of two available under construction homes, or selecting a home site and a custom home plan created by award-winning architects or designing their own from the approved Builder Guild. Waterfront homes at Freeman’s Point are priced from the $700,000s, and every home site maximizes the marsh and water views. Homes in Seaside at Freeman’s Point feature double porches on select plans that maximize coastal views, chef-style kitchens, open living spaces ideal for entertaining and owner’s suites that offer a peaceful retreat with great views. The two available homes include the Tidalview from FrontDoor Communities on home site 2 and the Sycamore built by Ashton Woods Homes on home site 3. Priced at $849,900, the Tidalview has four bedrooms and three-and-a-half bathrooms, including the owner’s suite on the main level, large front and rear porches, kitchen with a large island open to the family room, and a large wall of doors that extends the family room to the rear porch, providing unobstructed coastal views. Ashton Woods’ Sycamore plan is priced at $890,035 and includes four bedrooms and four-and-a-half bathrooms throughout 3,212 square feet of living space. This home features an open living area on the main level with a family room, dining room and kitchen. Homeowners at Freeman’s Point will enjoy access to a 1,000-foot waterfront park that is just steps from the Seaside homes; Founder’s Park complete with a gazebo, children’s playground and picnic area; swimming pool; gathering pavilion; fireside lounge; community boat ramp and community dock. In addition, the community is a short distance from historic Charleston and Folly Beach. With only eight available home sites, these homes will be available for just a limited time. 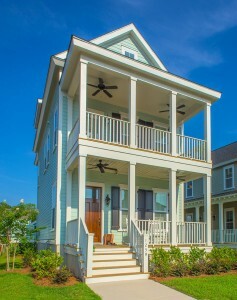 For more information on these waterfront homes, visit www.FreemansPoint.com. This entry was posted in Charleston new homes, Featured, South Carolina and tagged Ashton Woods Homes, Freeman's Point, FrontDoor Communities, James Island, Lowcountry, waterfront home on April 7, 2016 by FrontDoor Communities.